A star of the replacement Broncos of 1987, Plymouth State (N.H.) product Joe Dudek powered the Broncos to a blowout win over the Raiders. As the strike continues, a raucous Monday night Mile High Stadium crowd of 61,230 watches Joe Dudek run for 128 yards and two touchdowns as the Broncos throttle the Raiders, 30-14. A handful of regular Broncos, including Steve Watson, Dave Studdard, Billy Bryan and Keith Kartz, take part. The wounds of the 1982 work stoppage had barely healed when rumblings of a strike after two weeks of the 1987 season began to grow. But this time, the owners intended to keep playing with replacement teams. Many of the ”B” teams were composed of training-camp cuts who had some familiarity with the playbook and the coaches, but those weren’t enough to fill out any roster, leading to a flood of semi-pros, former USFL prospects and some who’d played that summer in a four-team Arena Football League which had its first, “showcase” season of 50-yard football. Some were even NFL players who came out of retirement for one last cameo. 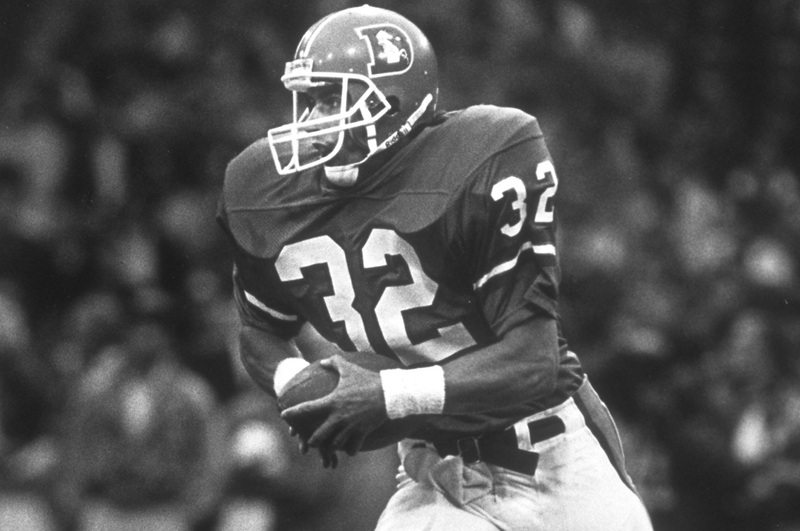 One such player was running back Nathan Poole, who played for the Broncos in 1982, 1983, and 1985. Poole returned after pursuing a career as a professional bodybuilder and ran for 126 yards and a touchdown during his two weeks back. “I really hadn’t given a thought to coming back,” Poole admitted. But the star of the temporary Broncos was running back Joe Dudek, who had been cut in training camp earlier that summer. Two years earlier, Dudek was playing at Division III Plymouth State in New Hampshire, and was featured on the cover of Sports Illustrated as “The Thinking Fan’s Vote for the 1985 Heisman Trophy.” After a 40-10 loss to the Houston Oilers in the first week of replacement play, Dudek had his breakout game: 128 yards and two touchdowns in a 30-14 dismantling of the Los Angeles Raiders. Befitting Dudek’s knack at letting the big stage come to him, his performance came on Monday Night Football in front of 61,230—a smaller crowd than usual at Mile High Stadium, but one that dwarfed other stadia around the league. Some crowds during replacement play were announced at less than 5,000. The Broncos averaged 49,862 for their two strike home games. Of course, it was the Raiders. And it was a game that counted in the standings. Heading into the contest, the Broncos were 1-1-1 and trailed their arch-rivals by a half-game in the standings. The win sent the teams in opposite directions; the Raiders lost seven in a row, while the Broncos won seven of their next nine games to earn their third AFC West title in four seasons.